Normally County Board elections are not a major event. This year things were different. County Executive Abele got frustrated when County Supervisors opposed his budget. Abele wants what he wants and gets rid of those who disagree. He set up Leadership MKE to bankroll candidates running against the County Supervisors who disagreed. Leadership MKE/Abele hired canvassers, printed materials, ran social media and campaign activities against his “enemy’s list.” And the contracts went to out-of-state businesses. LPS worked hard and helped win the struggle to ensure that the County Board is loyal to voters and not the rich and ruthless County Executive, Chris Abele. County Board members, for the most part, remain representatives not Abele lapdogs thanks to public awareness and action in the latest County Board election. 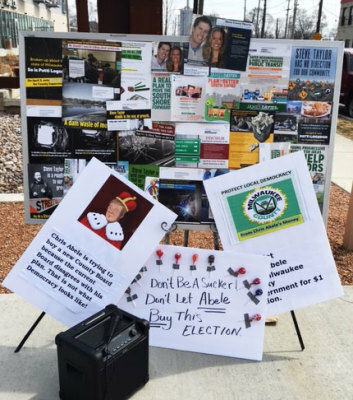 LPS played a major role in alerting and mobilizing voters to reject Abele’s latest attempt to control the local democratic process. Abele has invested millions of dollars and piles of political chips at the state level to eliminate the County Board’s power to impact local decision-making. Over the past years, he has cut Board positions from full time to part time, reduced Board members’ salary by half, reduced the Board operating budget and amputated their role in deciding County policies and budget issues. During the 2017 budget process, Abele and the Board reached an impasse on doubling the wheel tax as a revenue source for the County. Approximately 75% of Milwaukee County voters had said NO to this plan in a 2017 referendum. County Board members listened to the public and refused to approve the wheel tax. This left a hole in the budget. Over the next few months, Abele proposed a variety of painful funding cuts – to senior programs, homeless shelters, park programs and transport – blaming the Board for the negative impact on County residents. LPS worked with many advocacy groups to stop the cuts and protect programs that served vulnerable people. Abele then took a bill to the state that would have effectively removed the County Board from almost all significant budget and personnel decision-making. LPS was there to fight the bill with County Board members, senior County staff and community groups. Republican legislators refused to pass the bill. This spring, seven County Board seats were up for election. 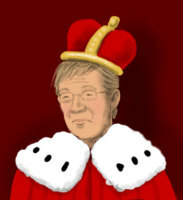 Having failed to win the recent power struggle with Board members, Abele brought out the big guns – his wealth. Abele started a group called Leadership MKE which he used to funnel monies into the campaigns against Board members who would not support the Abele agenda. Abele spent over $1 million for staff, full-color materials, attack ads against Board members and more. One of the most intense efforts was to defeat County Board Chairperson Theo Lipscomb. LPS publicized and fought the Abele effort to buy local government. An active Facebook campaign kept the issue visible and alerted voters to stop the power play. Work with local media brought the issue to the pages of the Milwaukee Journal-Sentinel. Ongoing outreach to LPS members prevented Abele from hiding his role in sending the barrage of full-color brochures to constituents blaming Board members for all budget cuts. 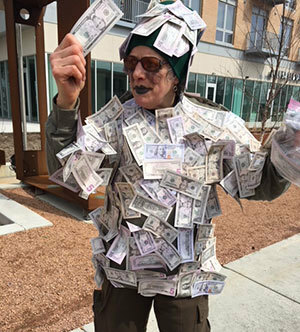 As a finale, LPS members and supporters held a public rally against Abele’s big money campaign to elect Board members who would owe him their loyalty. The money monster was in attendance trying to buy followers. 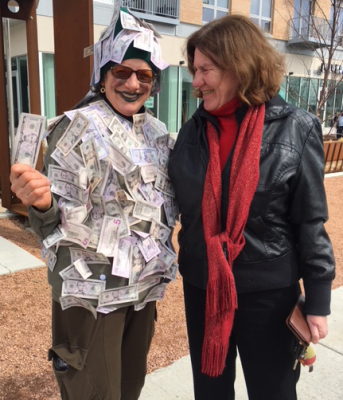 But like Abele, the money monster was rejected. There was extensive TV and social media coverage. The election was a majority win for an Abele-free Board. Theo Lipscomb, Steven Shea and others won. Unfortunately, Peggy West lost her seat. But LPS appreciates her defense of the homeless and seniors. LPS shows the role seniors can play in fighting for a fair and just society. There are many dragons yet to slay, but we are ready and willing to continue the fight. Join us, we are all super heroes!